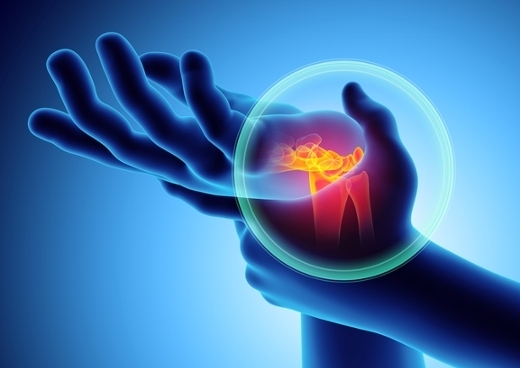 Carpal tunnel syndrome affects more than 12 million Americans and results in 500,000 surgeries every year. A patient at the Emory Orthopaedics and Spine Center recently became the first in Georgia to receive treatment for carpal tunnel syndrome with the SX-One MicroKnife™ surgical device. The device, which uses technology developed at the Mayo Clinic, is designed to allow physicians to perform carpal tunnel release (CTR) surgery through a single micro-incision (4-5 mm) guided by ultrasound. The technology protects sensitive anatomy when cutting the transverse carpal ligament. Kenneth Mautner, MD, a non-surgical sports medicine physician at the Emory Orthopaedics and Spine Center, performed the procedure. "This is an exciting alternative for patients who suffer from carpal tunnel syndrome but have hesitated to have surgical treatment due to long recovery and rehabilitation or unattractive scarring," says, Mautner, who is considered a national leader in ultrasound- guided procedures. The quick recovery time and convenience of the procedure was an added relief to Mautner's first patient, Cathy Patterson. "I suffered with carpal tunnel for 25 years, but over the past three years the pain became progressively worse," explains Patterson. "When Dr. Mautner explained the procedure to me, I was excited to be able to finally experience relief without going through everything associated with major surgery." Carpal tunnel syndrome affects more than 12 million Americans and results in 500,000 surgeries every year. It can be debilitating if left untreated. Traditional CTR procedures can remedy the condition but may result in large and sometimes painful scars, ongoing palmar pain and a long road to recovery. "Emory Healthcare is committed to providing the best possible care for our patients and this procedure allows us to continue that service. This new option is minimally invasive, works through a micro-incision that doesn't require sutures or stitches, and promotes a rapid recovery so patients can get back to their jobs and lives faster," says Mautner. "As a nurse, I needed a quick recovery and full use of both hands," says Patterson. "With this procedure, I experienced immediate relief and missed no time from work. It was a perfect option for me." For more information about this procedure, please contact the Emory Healthcare patient connection line at 404-778-7777.